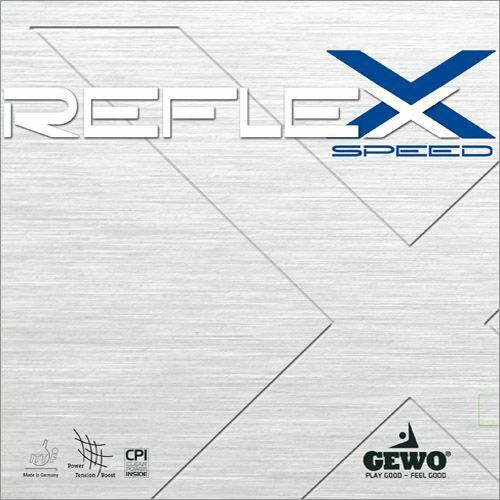 Gewo Rubber Reflexx SpeedThe top rubber of the newest Tension Power technology with further improved built-in tension. 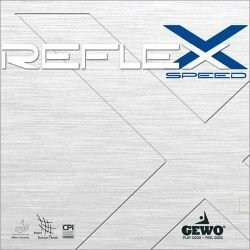 Gewo Rubber Reflexx Speed The top rubber of the newest Tension Power technology with further improved built-in tension. The Reflexx Speed enables you to play perfect half distance top spin rallies with increased pressure and rotation. Increased service spin is created thanks to the new friction surface. Even the first opening top spin against chop can be played with utmost rotation. A rubber specialy for players with the main focus on spinny offense.